I specialize in Spine Surgery, and the treatment of Aneurysms and Brain Tumors. Dr. Seyfried received his medical degree from the Medical College of Pennsylvania in 1988. He did his internship and residency at Henry Ford Hospital, in Detroit, Michigan where he joined the neurosurgery senior staff in 1994. Dr. Seyfried is the Co-Director of the Cerebrovascular Program with a special interest in the neurovascular area. His clinical and research activity includes treatment of intracranial aneurysms, carotid stenosis and intracerebral hemorrhage. Dr. Seyfried also performs surgery for brain tumors. Treatment of a variety of spinal conditions comprise a large portion of his practice and this includes cervical and lumbar fusions. He has ongoing basic research studying neuroregeneration after intracerebral hemorrhage. 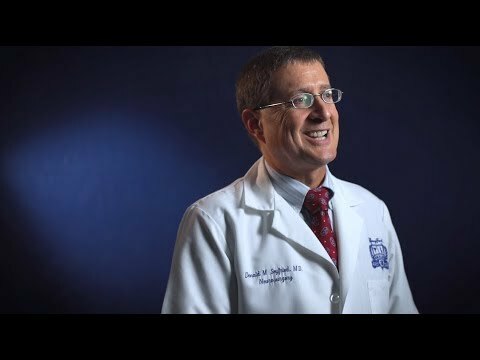 On a personal note, Dr. Seyfried enjoys running, outdoor activities and spending time with his wife and three children. A good physician-patient relationship and conscientious application of the latest medical technologies are cornerstones of my medical practice. Dr. Seyfried has received recognition for his clinical and research activities, and participates in lectures and scientific presentations. He is a published author with topics involving aneurysms and subarachnoid hemorrhage, and basic laboratory research studying ischemic stroke and intracerebral hemorrhage.